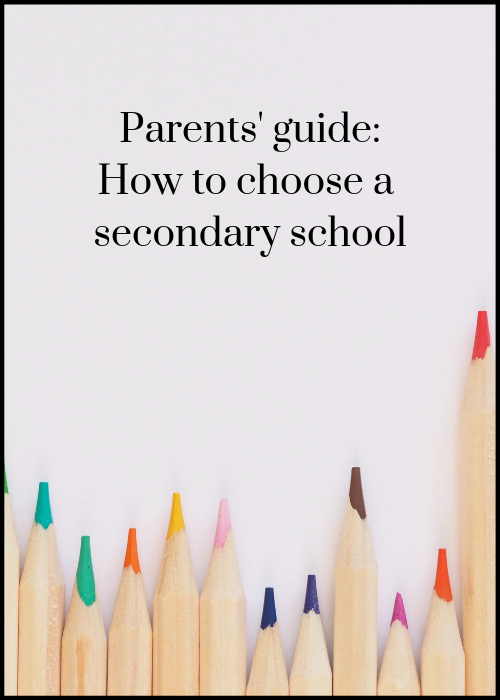 How do you choose a secondary school for your child? For my kids, I looked at the websites for schools in our area, read their Ofsted inspection reports and went along to open days. I also asked the advice of my children’s teachers and talked to other parents. I tried to think about what would be the best environment for each of my children, reminding myself that schools are very different now to how they were when I was a child. My daughter is now at Uni and my son is in his GCSE year. Over the last few years I’ve learnt many things about secondary schools which I had no idea about before, despite my perusal of websites and attendance at open days, and I’ve discovered some important information which isn’t mentioned in Ofsted inspection reports. With that in mind, here’s my advice for you on things to consider and to ask about when searching for the right secondary school for your child. When you look at secondary schools for your Year 5 or Year 6 pupil, they’re 10 or 11 years old. They’re still a child, but the school that you’re looking at could well be the place where they study until they’re 18. Adolescence is a time of huge change physically and emotionally and your child will encounter all sorts of issues as they grow. Their secondary school needs to be able to support them through adolescence. What do current parents think about the school? Ignore anyone who tells you that they and/or their children went to a particular school and it was terrible/ marvellous. It’s irrelevant what a school was like in the past. More telling is what current parents think about a school. Ofsted inspection reports include a summary of parents’ views of a school. The Ofsted Parent View website gives more detail, with the results of parents’ responses to specific questions, such as ‘Would you recommend this school to another parent?’ Ask around locally to find parents of pupils who are currently at a school, and talk to them about what it’s really like. Does the school employ unqualified teachers? If you assumed, as I did, that all teachers working in schools need to have a teaching qualification, you’d be wrong. Apparently Michael Gove introduced the right for schools to employ unqualified teachers in 2012. Do teachers have subject specific qualifications? Find out if, for example, science teachers at the school have science degrees. Or are, say, PE teachers being drafted in to help with science, because of difficulties recruiting and retaining science staff? How many unfilled teaching vacancies does the school have? How long do staff stay at the school? How often do teachers leave mid-term? It can be very unsettling for children to have teacher changes, and when it comes to GCSEs and A levels it can mean that pupils aren’t properly prepared for their exams and results are affected. Are teachers replaced when they leave? In some schools, when a teacher leaves they are not replaced and their colleagues are expected to divide their role between them. This can happen multiple times. The result of this is that teachers can become overstretched. How does the school screen pupils for SEN? It’s entirely possible for a child to go through their whole school career with an unidentified learning difficulty. This can make life much harder for pupils than it needs to be, and they may end up under-achieving or being punished for behaviours which result from their unidentified condition. If, like many parents, you have no experience of dyslexia, dyscalculia, dyspraxia, ADHD, or other conditions which can be a barrier to learning, it could be that you wouldn’t pick up these issues in your child. Schools are supposed to identify children with special educational needs, and support them. But they don’t always do so. Ask how and when schools screen for SEN.
How does the school support pupils’ emotional wellbeing? There’s a growing crisis in mental health difficulties amongst young people in the UK, and professional mental health support services are overstretched. Mental health issues can impact educational outcomes and can lead to school refusal. Ask schools how they promote good mental health and emotional wellbeing, and how they support pupils with anxiety, depression, eating disorders and other difficulties. Do they have a zero tolerance behaviour policy? I’d be very wary of a school with a zero tolerance behaviour policy. You may think that zero tolerance sounds like a good idea, but it’s actually a terrible approach. Research shows that rather than improving behaviour, students are likely to respond to harsh punishment with anger and aggression, and all pupils, even those not being punished, can then lose respect for staff. What is their behaviour policy? This is really important, and reveals the true ethos of a school. Find out exactly what the school behaviour policy is, what form sanctions take, and how and when parents are informed about behaviour issues. Some schools punish children for minor misdemeanours such as not having their shirt tucked in or not having a particular pen. Sanctions which schools can use include lunchtime detentions, after school detentions, internal exclusions in isolation booths (more on those later), fixed term exclusions and permanent exclusions. Some schools use all of these sanctions, often, and employ full-time staff to supervise miscreants. Other schools have a more supportive and restorative approach. Parents may not hear about sanctions imposed unless their child is actually excluded, in which case schools are legally required to notify parents. How many pupils leave the school before they should do? Currently the rates of both fixed term and permanent exclusions in English state schools are increasing. Pupils with special educational needs, children in foster care and children who are adopted from care are much more likely to be excluded than others, which suggests that they’re not being supported appropriately. There’s also an issue with unofficial exclusions (which are illegal) where schools ask parents to collect their child from school or keep them at home, without recording it. Another concern is off-rolling, where schools force out pupils who look like they may do badly in their GCSEs and bring down school league table results. Increasing numbers of pupils are ending up not going to school at all. This means that you need to look beyond a school’s exam results. If vulnerable and disadvantaged children are leaving certain schools before they take any exams, while other schools are working to keep such children in education, results alone don’t give a fair picture of a school. And the numbers of children who are recorded as permanently excluded don’t give a fair picture of a school either, because at some schools many pupils move schools or drop out of education altogether before getting to that point. Ask schools how many pupils who join in Year 7 leave the school before the end of Year 11 (GCSE year), why they leave and where they go. Do they use isolation booths to punish pupils? I was shocked when I discovered that many schools have dedicated rooms of isolation booths where children are sent to be punished, sometimes for days or even weeks on end. Sitting in these booths, children aren’t allowed to speak to or look at anyone. I guess that in years gone by these children would have been beaten. Now that it’s illegal for teachers to physically punish pupils, many schools invest funds in isolation rooms and staff to supervise them. I had no idea that my son’s first secondary school had an isolation room when I went to an open day when he was 10 years old. It wasn’t mentioned in the talk from the Head, and we weren’t shown it on the school tour. It’s important to note here that many schools do not have punishment isolation rooms, opting for a more constructive approach to behaviour management. Also, spaces which are used as a place for pupils to calm down and have some time out while being supported by a member of staff are an entirely different thing from punishment isolation booths, and that is not what I’m talking about here. When you’re looking at schools, ask if they use isolation booths to punish pupils. If they do, ask why they feel they need them, how long children spend in them and how they improve behaviour – and make sure that your tour of the school includes a visit to the isolation room so that you can see it. The use of punishment isolation booths as part of a school’s behaviour management strategy is unregulated. 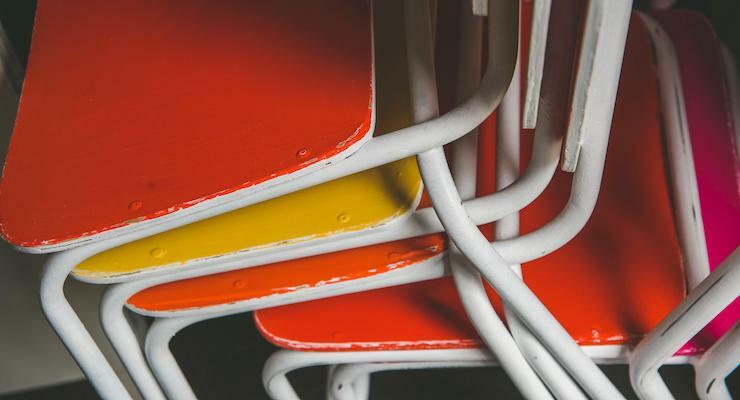 Many education professionals believe that their use is a breach of the United Nations Convention on the Rights of the Child (UNCRC), and some of them have started a #BanTheBooths campaign to end their use. The UNCRC is the most widely ratified human rights treaty in the world and came into force in the UK in 1992. I believe that the use of isolation booths to punish children is harmful and wrong and has no place in our society. I wholeheartedly support the #BanTheBooths campaign, and have signed their petition to the government for these booths to be outlawed and for isolation to be regulated for schools. What have I missed? Do you have any comments or questions about what to look for in a secondary school? This is such a useful resource, thank you for all the time it must have taken to put this together. I had no idea about isolation booths. I’m signing the petition and will share this! Thank you Nichola – I didn’t know about them either! I hope that the petition succeeds in getting them banned.